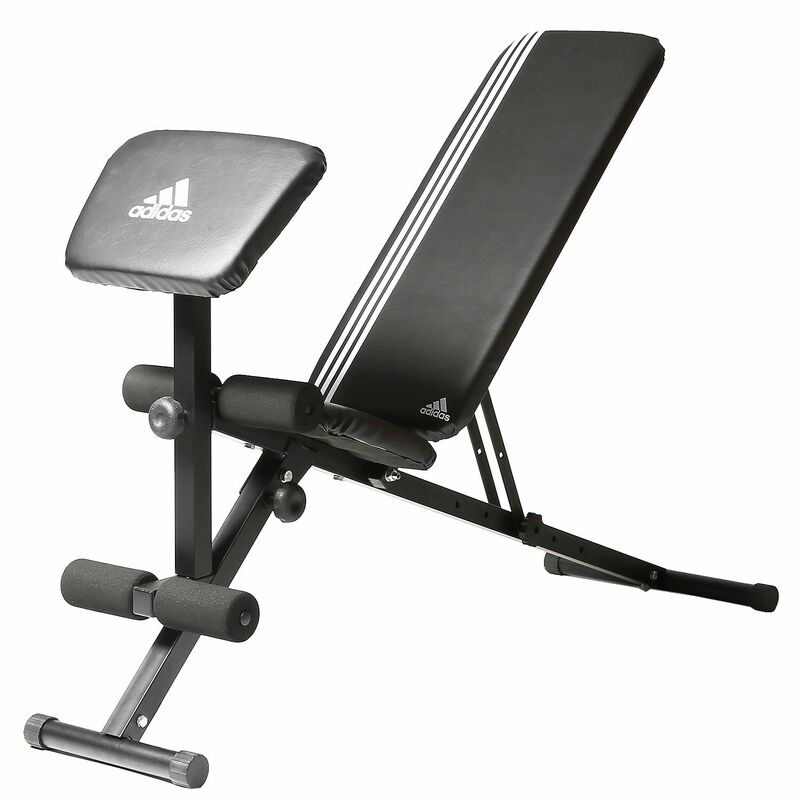 The adidas Essential Pro utility bench is a comfortable and supportive dual-purpose piece of equipment which is great for dumbbell and ab workouts. The backrest can be laid flat and has a decline position as well as 5 incline settings, making it great for classic free weight exercises like the shoulder, chest and bench press, plus you can perform sit ups and enjoy high-impact ankle and knee support from the foam rollers. 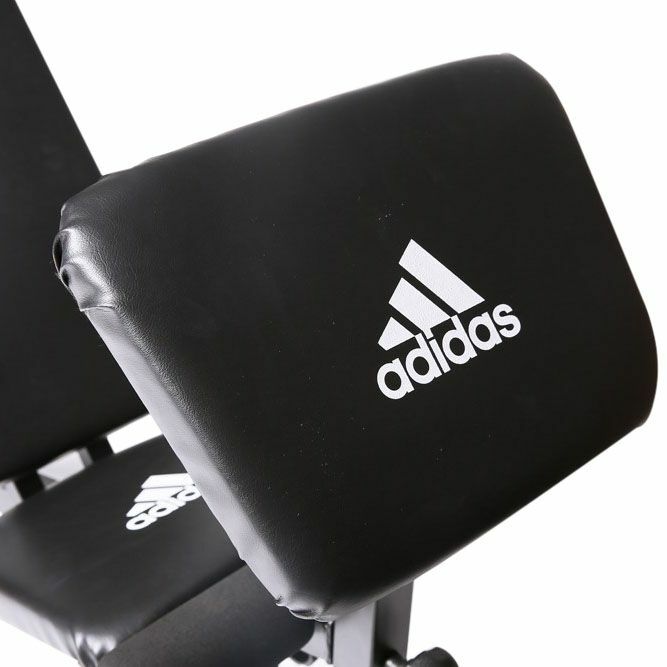 The Padded Preacher Curl attachment is designed to isolate the biceps, triceps and forearm muscles, and you can even use the workout bench to perform standing exercises. It is very stable, durable and strong with a scratch-resistant steel frame, and when not in use you can fold it up extremely compactly, only 23cm (9”) deep. for submitting product review about adidas Essential Pro Utility Bench.